Free download - programs for Windows Stoik Imagic, Freefox, Adobe Authorware, Adobe Director, Adobe Captivate, Word Artist, PhotoPlus Starter Edition, Adobe ColdFusion, BSR Screen Recorder, AVS Disc Creator Free download! »» Free download Stoik Imagic! 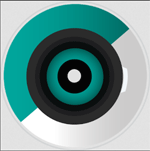 Stoik Imagic ::: a software that allows users to view, edit and organize photos and video. Stoik Imagic has a viewer that lets you view and organize all the photos from your computer. With Stoik Imagic can apply different effects to images using the image editor. Freefox ::: a computer program used for file sharing. Freefox is specifically used for downloading movies and music. With Freefox also can download any file type. »» Free download Adobe Authorware! Adobe Authorware ::: a computer program that allows users to create educational applications. Adobe Authorware has been designed specifically for teachers or those who create video tutorials. With Adobe Authorware can be inserted in applications: images, video, audio or text. »» Free download Adobe Director! Adobe Director ::: a computer program that allows users to create various interactive applications. With Adobe Director can create interactive games, demos, prototypes, simulations, and eLearning courses. Adobe Director is used specifically for creating interactive Web applications. »» Free download Adobe Captivate! Adobe Captivate ::: a computer program that allows users to create multimedia educational content. With Adobe Captivate can capture video, create slide shows or apply animation effects. Adobe Captivate helps to create video tutorials. »» Free download Word Artist! Word Artist ::: a software that allows users to make various text effects. With Word Artist can transform the text as you want and save it as an image. Word Artist allows you to create 3D effects and put the text in different forms circular, semicircular, diagonal, etc..
»» Free download PhotoPlus Starter Edition! PhotoPlus Starter Edition ::: a computer program used to edit photos. 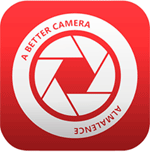 With PhotoPlus SE can crop, rotate, resize or convert images. PhotoPlus SE allows the application of various effects such as removing red eye or improve the quality. »» Free download Adobe ColdFusion! Adobe ColdFusion ::: a computer program that allows users to manage Internet applications. With Adobe ColdFusion you can quickly create and publish Web pages in Internet. Adobe ColdFusion is designed for owners and publishers of web sites and applications. »» Free download BSR Screen Recorder! BSR Screen Recorder ::: a software that allows users to capture video. With BSR Screen Recorder can capture everything you see on the screen and record it all in an AVI, SWF, WMV or EXE file. With BSR Screen Recorder can be captured only a part, a window or the full screen! »» Free download AVS Disc Creator! AVS Disc Creator ::: a computer program that allows users to burn discs. The program AVS Disc Creator allows you to burn discs, create bootable discs, or create ISO disc images. AVS Disc Creator to burn supports the most disc images formats.